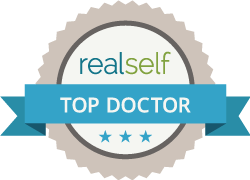 Our Estheticians are trained and overseen by Dr. Swann, a board certified dermatologist who is fellowship-trained in laser and cosmetic dermatology at Scripps Clinic in La Jolla, California. In an industry that is full of talk and little science, we focus on proven therapies that give real results. Our team takes great pride in educating our clients about their skin and assembles an organized plan to target trouble spots and a regimen to prevent damage and maintain beauty. Our staff includes physician assistants, nurse RN injectors and estheticians. Photofractional rejuvenation is the cutting-edge way to maximize facial rejuvenation while minimizing any downtime. We combine Lumenis M22 Intense Pulsed Light treatment with ResurFX non-ablative fractionated treatment for impressive improvements in skin tone, texture and tightening. Microneedling treats fine lines, acne scars and improves the skin's overall appearance by stimulating neocollagenesis. Micro-focused fractionated carbon dioxide energy rejuvenates the skin by evening skin tone, texture and improves scars. Expect 2 days of pink slightly swollen skin. We recommend TNS Recovery Complex to maximize recovery and results. 1565nm ResurFX laser heats columns deep in the skin for treating tone and texture issues in the skin including scars, stretch marks while minimizing downtime. ResurFX is an improvement on the Fraxel technology, heating the skin without cutting the epidermis. Coolsculpting is non-surgical fat reduction treatment that uses controlled cooling to eliminate stubborn fat. 2 treatments recommended for ideal results. Coolsculpting currently has special pricing of 15% off which results in prices starting as low as $650.